More in our ‘Invasion of Europe’ series…. Finally the news is creeping into American mainstream media—Sweden is in turmoil because it has virtually opened its borders wide to any Muslim migrant who could get to that wonderful world—the generous socialist welfare state of Sweden! “We can’t take care of all the people in the whole world who have needs in their lives,” says security guard Filip Wennerlund. 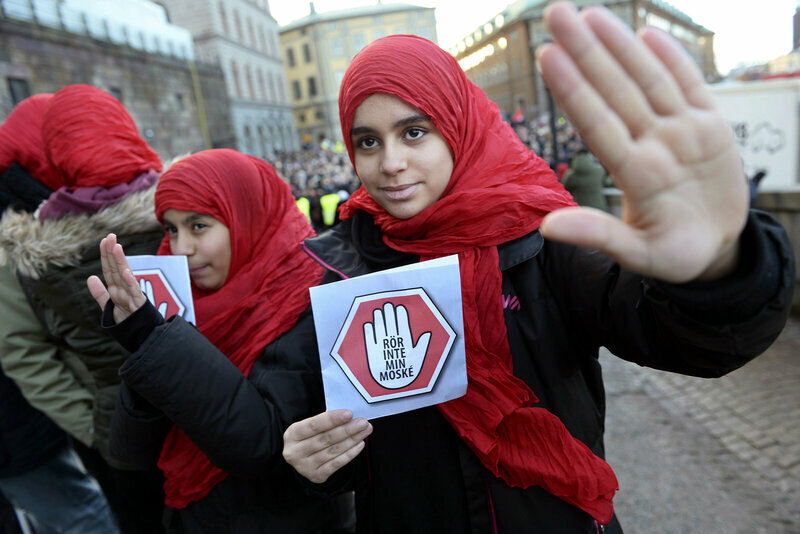 Wennerlund didn’t mind Christian immigrants, but he believes it’s not working with the Muslims, even though Sweden has had a Muslim population for decades. There is a lot more, read and listen here. Especially pay attention to the discussion about the rise of the Sweden Democrats and how Muslims are trying to tie them to recent mosque fires. For our complete archive on the ‘Invasion of Europe’ go here. Our large archive on Sweden is here. BTW, my guess is that Sweden will be the first European country to fall to the invasion. Why do Americans not see what is coming for us?